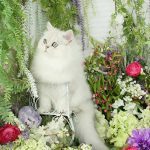 Top Persian Kitten Products - Doll Face Persian Kittens - 660.292.2222Pre-Loved Persian Kittens For Sale – (660) 292-2222 – (660)- 292-1126 – Shipping Available!! We feel what you put into your feline friend is just as important as the love and attention you give. 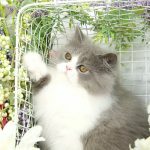 We have created a list of our Top Persian Kitten Products. We urge all customers to please keep these in mind when purchasing and getting ready for their new kitten’s arrival. Please understand that it is never a good idea to change your kitten’s diet or litter. Doing so will only cause unneeded stress and anxiety for your furry little one. Transitioning into a new forever home should be a fun and exciting time for all involved. Following our advice will set up your environment to be a successful one for your new pet! 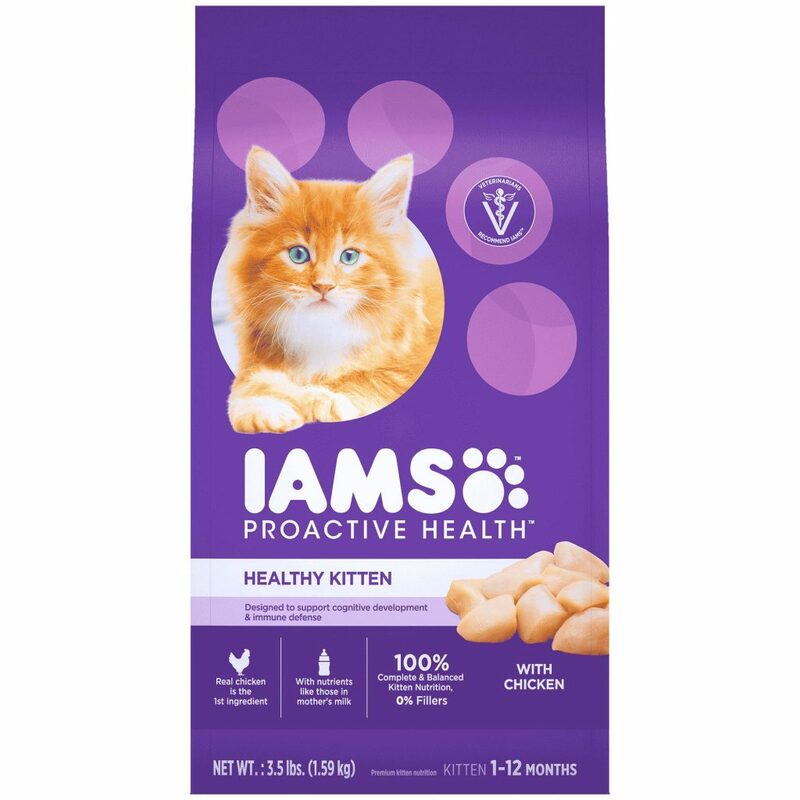 First and foremost, we serve our kitties a mixture of Royal Canin Persian Kitten Food & Iams Kitten Proactive Health. 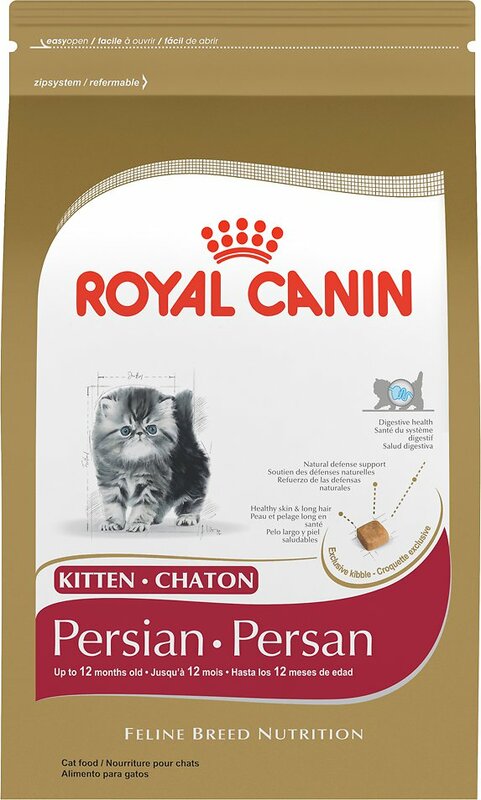 Royal Canin is tailored to the specific needs of Persian Kittens, even the kibble was specially designed to make it easier for the Persian kitten to grasp and encourage them to chew. 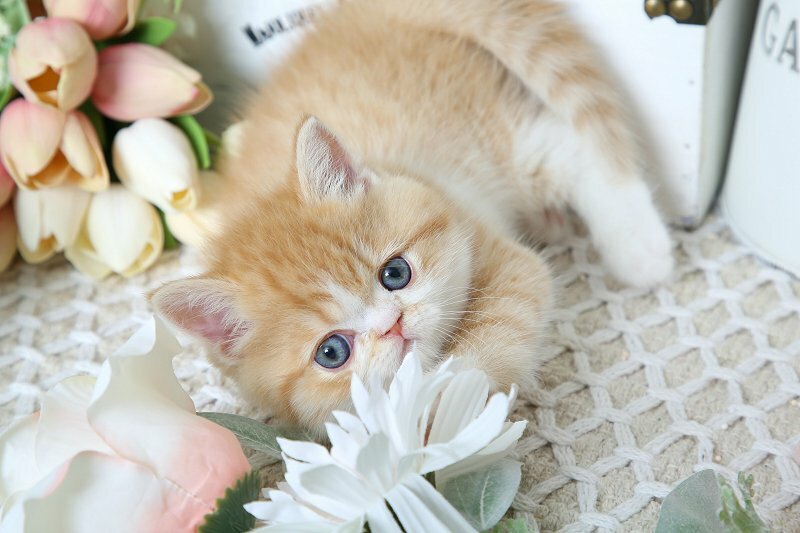 The personality of a Persian kitten is so incredibly playful, docile and loving that they can tend to forget to eat so any help the food manufacturers can provide is an incredible asset. Royal Canin is the only one that focuses on the direct and individual needs of many specific breeds right down to the age categories! A kitten’s digestive system is a very delicate thing, it remains immature and is constantly developing throughout the first year and must be handled in a precise way. Royal Canin has designed this food for a Persian kitten’s ever-changing and developing immune system. Highly digestible proteins (LIP*), an adapted fiber content (including psyllium) and prebiotics help support a balance in the intestinal flora. 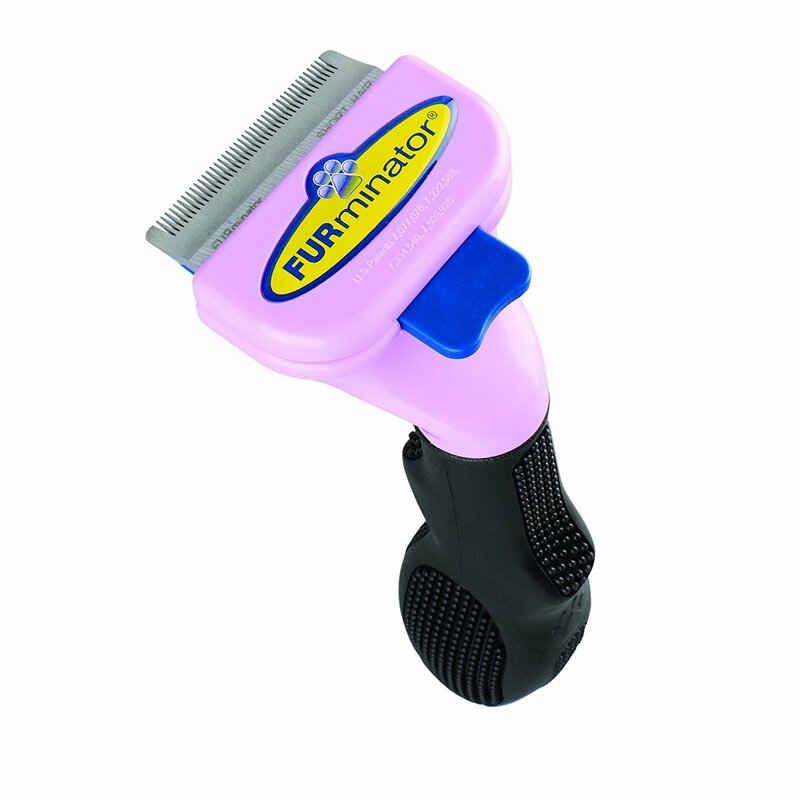 Another one of our top Persian kitten products is the FURminator. If you are going to own a Persian or Himalayan you MUST invest in the best grooming tool out there…..the FURminator! This AMAZING grooming tool is an absolute MUST for anyone who owns a Persian or Himalayan. This tool comes in various sizes for different coats but my favorite is the small “Long Haired Cat Tool”. It strips any and all dead hair from their coat leaving shiny healthy hair. Rescue Remedy is a natural stress relief agent for cats & kittens. Whether it is an approaching thunderstorm, a trip to the vet, or merely a weekend alone, loss of a companion, separation anxiety, pets of all shapes and sizes can and do experience stress at some time in their lives. 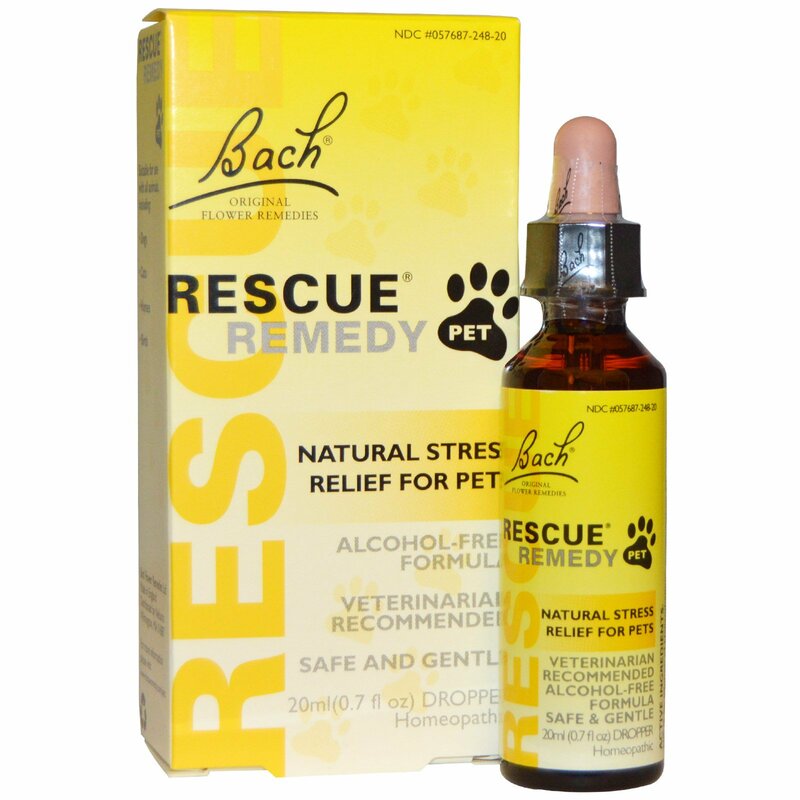 Help relieve their symptoms with Bach Rescue Remedy specially formulated for pets. The preferred method for administering Rescue Remedy is putting it directly in the cat’s mouth. It can be administered by simply putting a few drops under their tongue or rubbed onto the cat’s teeth and gums using your finger. We sometimes dilute a few drops of Rescue Remedy in their drinking water or use a spray bottle to spray it on their fur, preferably the tail since they lick their tail often. Here is a link where you can purchase this fantastic product. If you have any questions regarding any of these featured products, please feel free to Contact Us! Winter time re-homing is much harder on the fur babies so please help keep stress to a minimum. Do not change their diet or type of litter. 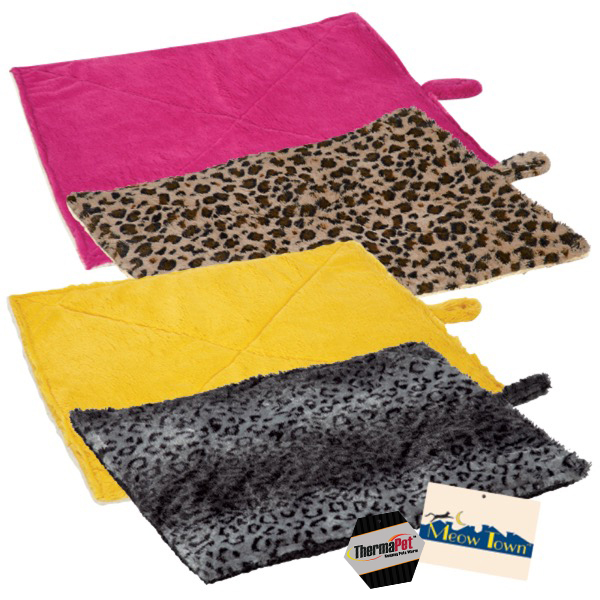 Keep plenty of warm blankets in the pet carrier when transferring kitty outdoors. 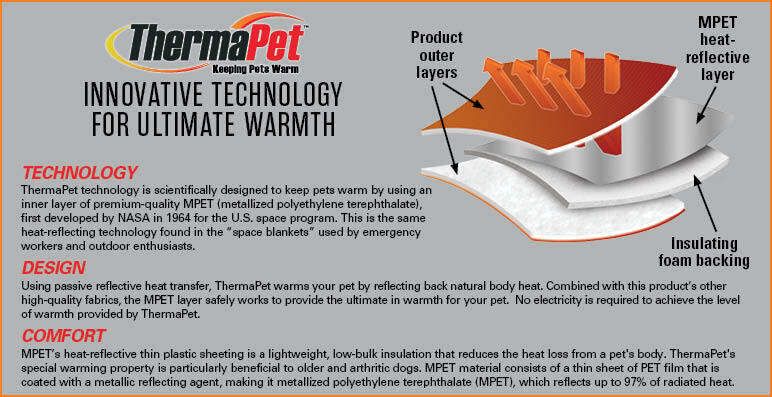 We recommend using the ThermaPet Cat Mat inside the carrier, this unique mat transfers your cats own natural body heat back to them. Always give your kitty Rescue Remedy drops before traveling. Drape a throw over the carrier so it is not exposed to the wintertime outside elements.